COURSES PROPOSED TO BE HELD IN 2018/2019. 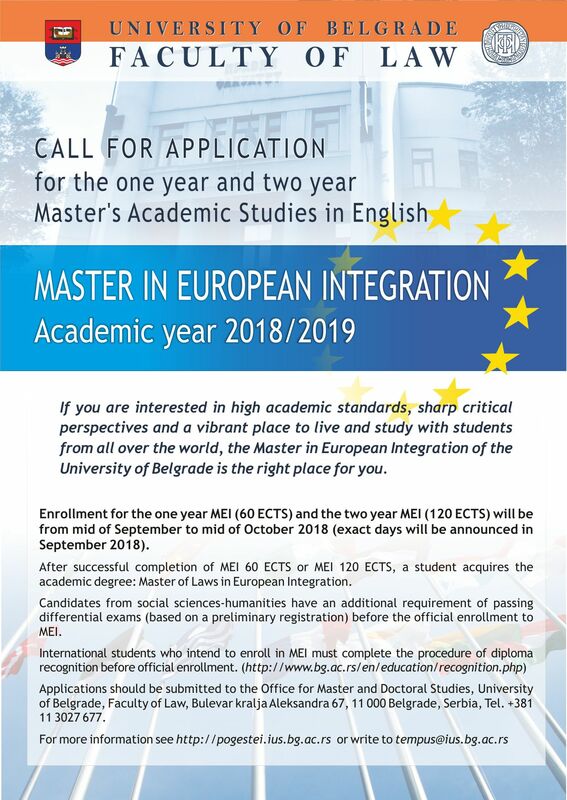 ENROLLMENT FOR MASTER ACADEMIC STUDIES - MASTER IN EUROPEAN INTEGRATION IN ACADEMIC YEAR 2018/2019. Prof.Dr. Dragica Vujadinovic, office hours for MEI students, Wednesday, 17-19.00, room 208. 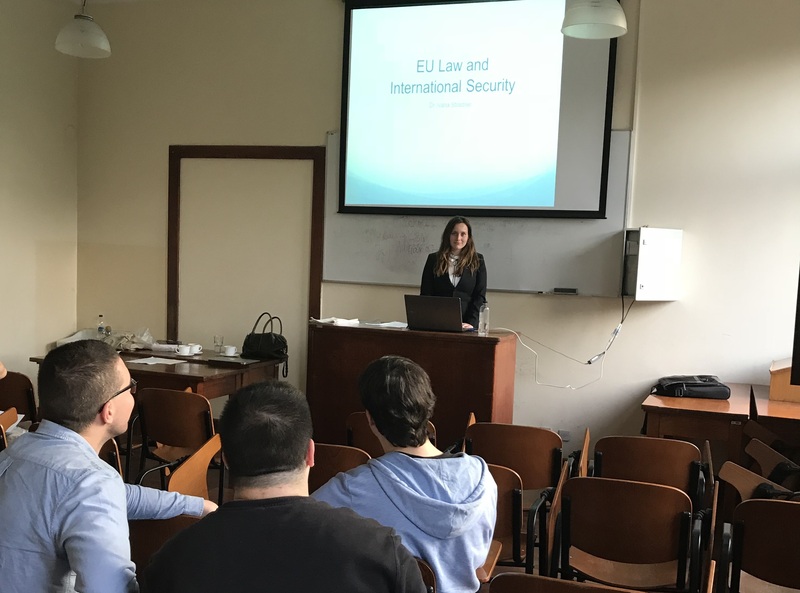 Dr Ivana Stradner, the lecturer at Berkley University, held the additional course EU LAW AND INTERNATIONAL SECURITY at Master in European Integration (MEI) from April 10 to 12, 2018. 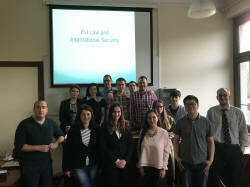 This course started from the assumption that these two fields (EU law and international security) cannot be adequately understood in isolation. The central goal was to equip students with a wide range of analytical tools that would enable them to see foreign policy in a holistic way: to put forward arguments like EU lawyers while developing the ability to view the bigger picture of international security and to critically and strategically reason like EU policymakers. This additional course included also contemporary events in international security in order to gain a richer understanding of the power relations and political interests involved in the development, implementation and enforcement of EU law and processes. 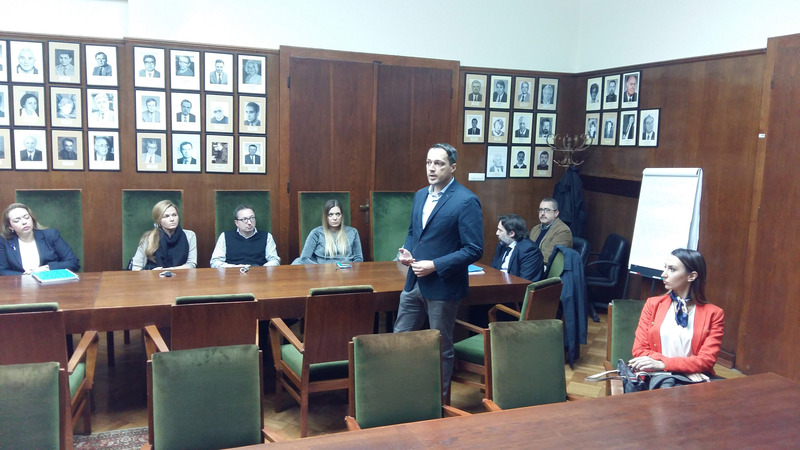 On 14 April 2018 25 students from the Faculty of Law of the Erasmus University Rotterdam (Labour law master study program) visited the Faculty of Law of the University of Belgrade. 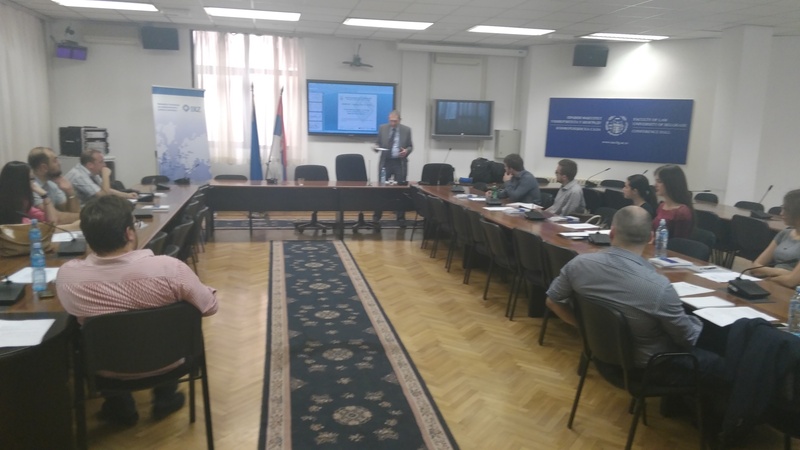 They attended lecture titled 'Association and Accession of Serbia – parallel processes' which was delivered by President of Research Forum of the European Movement in Serbia Dr. Vladimir Medjak. 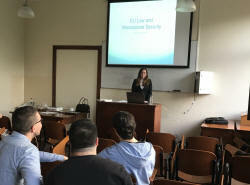 The lecture was delivered in the frame of Master in European Integration course "Accession of Serbia to the EU". After this lecture, Head of Master in European Integration professor Dr. Dragica Vujadinovic presented this study programme to our guests from the Netherlands. Dr Reinhard Priebe held the visiting lecture at MEI on October 30, 2017, with the topic: "Brexit – its impact for the United Kingdom, for the European Union and for candidate countries". The lecture represented the traditional MEI European lecture. Head of MEI prof. Dr. Dragica Vujadinovic welcome the guest lecture and introduced him to the audience, considting from MEI students of genderation 2017/2018 and a few other students. The host professor to Dr .Priebe and the moderator for this visiting lecture was Prof. Dr. Miroljub Labus. Students were interested a lot in the topic, they plenty of questions and insofar the rich discussion was developed concerning different referential issues. Opening ceremony of Master in European Integration was held on Monday, October 23, 2017 in the Academic Forum of the University of Belgrade Faculty of Law. 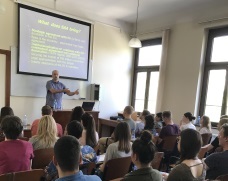 The Dean Professor Sima Avramović gave the opening address to the new generation of MEI students, in which he accentuated an importance of MEI and a persistent high quality of this master study program. The Vice Dean Prof. Milena Đorđević explained what opportunities for Erasmus Plus exchange will be offered to MEI students. She also presented the courses which she has been holding at MEI. Other professors then presented their courses. The head of MEI prof. Dragica Vujadinović explained different substantive, administrative and technical issues, which are important for students to have in mind. She also spoke about the study trip, which has been offered to MEI students each academic year again, with a significant financial support of the international German foundation IRZ. The students also had an opportunity to introduce themselves and ask any questions they deemed relevant for their studies. 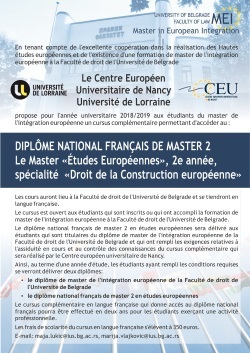 On Tuesday, June 27 and Thursday, June 29 from 19:00 to 20:30, students of Master in European Integration, as well as other postgraduate students had a unique opportunity to attend the lecture of Dr. Hugo Flavier, Assistant Professor, Faculty of Legal and Political Sciences University of Bordeaux. He gave presentations on topics “Democratisation of the EU external relations” and “The European sanctions against Russia”. After presentations students were given the opportunity to ask question and participate in discussion. 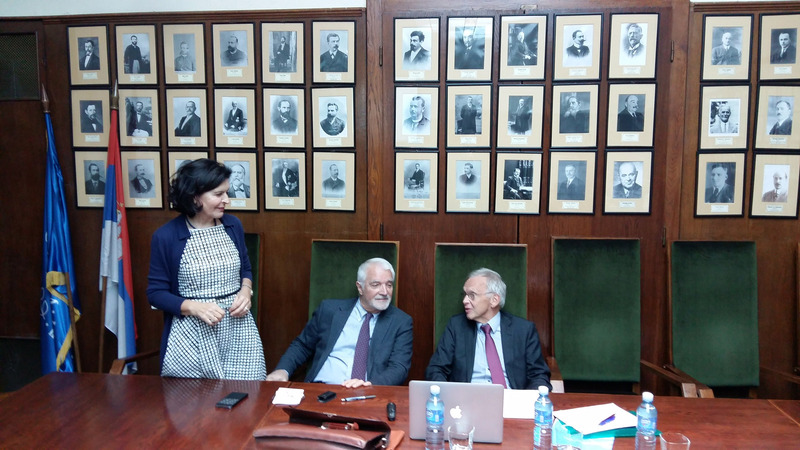 On Monday and Tuesday, March 6 and 7, 2017 Faculty of Law, University of Belgrade had great pleasure to host Dr. Silvo Devetak, Professor Emeritus of the University of Maribor, President of the Institute for Ethics and Regional Studies ISCOMET and President of ISCOMET NGO with the participatory status at the Council of Europe, Maribor, Slovenia. On Thursday, January 12, 2017 University of Belgrade, Faculty of Law had pleasure to host distinguished guests, the top representatives of the Congress of Local and Regional Authorities of the Council of Europe - Ms. Gudrun Mosler Tornstorm, President and Mr. Andreas Kiеfer - Secretary General. The University of Belgrade Faculty of Law had a pleasure of hosting Mr. Johannes Hahn, the Commissioner for European Neighborhood Policy and Enlargement Negotiations and Professor Tanja Miščević, the Head of the Serbian negotiation team for accession to the EU, on 5 December 2016, who gave a lecture to students of Master in European Integration and the Forum for Diplomacy and International Relations on Serbia`s European Integration and European Union`s support to reforms in Serbia. On Monday, October 24, 2016 the new academic year of Master in European Integration was officially opened. The Opening Ceremony started with the Dean’s welcoming speech, followed by Prof. Dr. Dragica Vujadinović - Head of Master in European Integration, who presented the main characteristics of this academic program to the new generation of students. During the ceremony professors used the opportunity to welcome students and present their courses. After the Opening Ceremony, students had an extraordinary opportunity to hear the European lecture held by Prof. Dr Friedemann Kainer from the University of Mannheim. The topic was: "The State of the EU in Times of Euro Crisis, Refugee Crisis and Brexit". On Tuesday, June 14, Dr Stefan Puerner, head of sector at the German foundation for international legal cooperation (IRZ), held the workshop entitled: "Free Movement of goods in practice: The art and craft of contract negotiations and drafting". 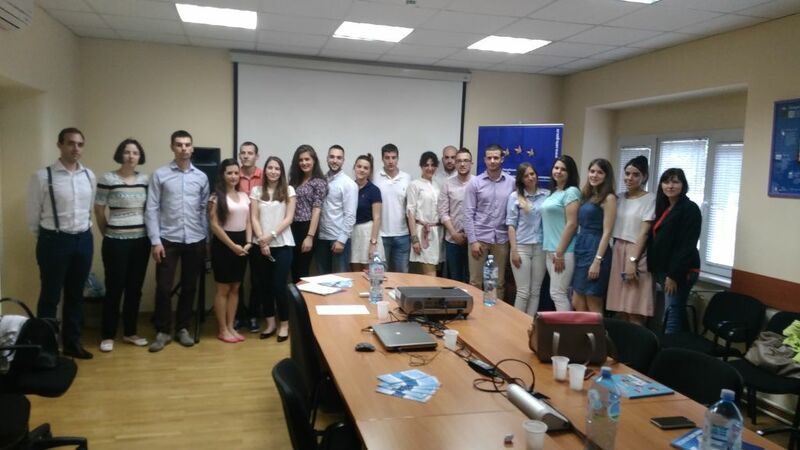 The workshop was organized for students of Master in European Integration, but other students interested in this topic also had an opportunity to take part in this workshop. 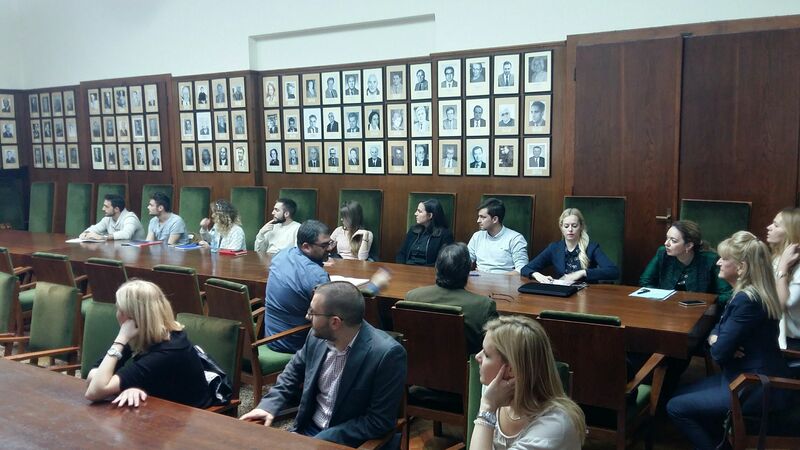 A high quality seminar was held in the Serbian European Integration Office for students of Master in European Integration on Tuesday, May 31, 2016. 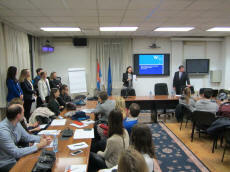 This is the fourth generation of MEI students that was given the opportunity to attend this very interesting and outstanding seminar, which represents one of many different forms of successful cooperation established between Serbian European Integration Office and the University of Belgrade Faculty of Law, Master in European Integration. 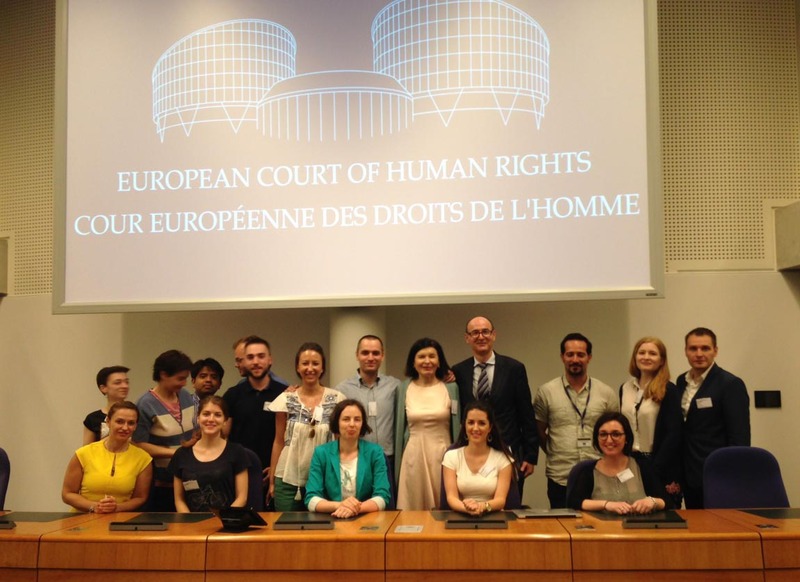 On Monday, May 24 started the course: Religious and Cultural Heritage Protection in Europe and European Integration. 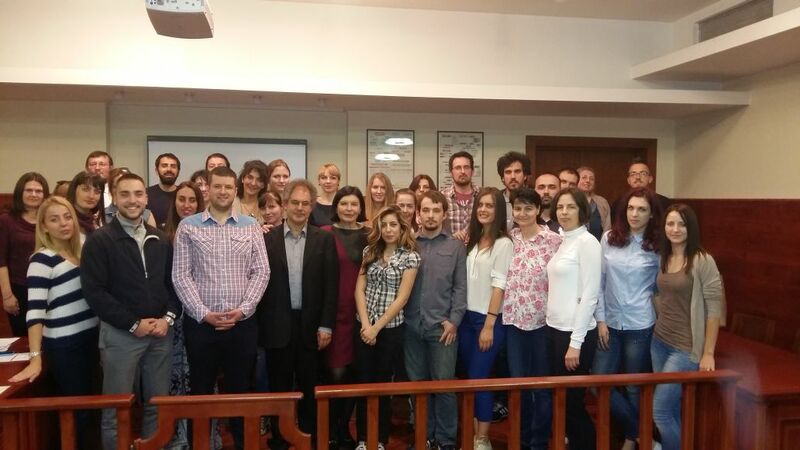 The course is held by Professor Dr Yuri Stoyanov from SOAS University of London, Near and Middle East Department. 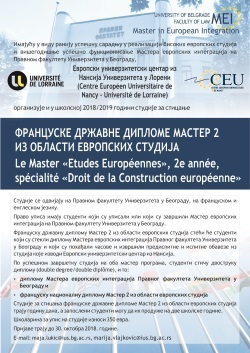 Although it is, in principle, organized for students of Master in European Integration, many other students, both from the Faculty of Law, and from the University of Belgrade in general applied for this high quality course.